The chance to participate in a live remote video coding demonstration is just one of the experiences offered by baggage handling system specialists, BEUMER Group, at Passenger Terminal Expo 2017. Delegates will discover how the Video Coding System (VCS) can optimise the handling of transfer baggage by eliminating the need to divert bags with no-read tags to a Manual Encoding System (MES). 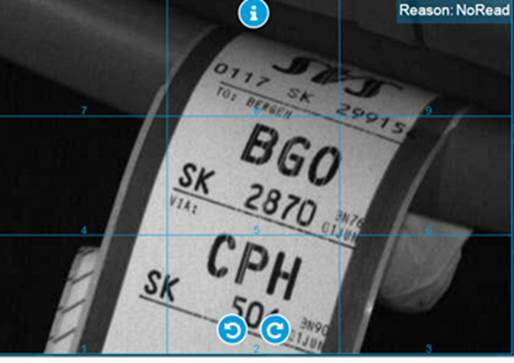 Instead, the combination of cameras and VCS controls from BEUMER Group’s Airport Software Suite, allow an image of the tag to be sent to a remote operator for coding at a workstation or via a tablet. The benefits of VCS, and best-practice guidelines for implementing this technology, are discussed in the latest BEUMER Group White Paper which will also be available on the stand. In addition to the live VCS demonstration, BEUMER Group will offer delegates a virtual-reality tour of the high-efficiency CrisBag® tote-based baggage handling system and show the latest autover® independent carrier system. BEUMER Group will be on Stand 9080 at Passenger Terminal Expo 2017, Amsterdam, NL, from 14th to 16th March 2017.